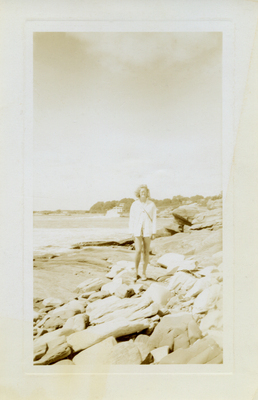 "Peaks Island Shore View 9"
View of woman standing on rocks, along Peaks Island shore. Cove in background. 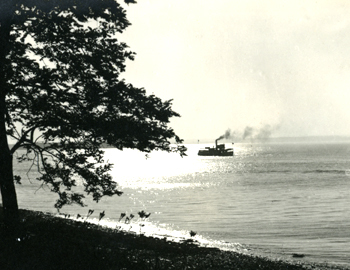 "Peaks Island Shore View 9" (1930). Photographs. 9.